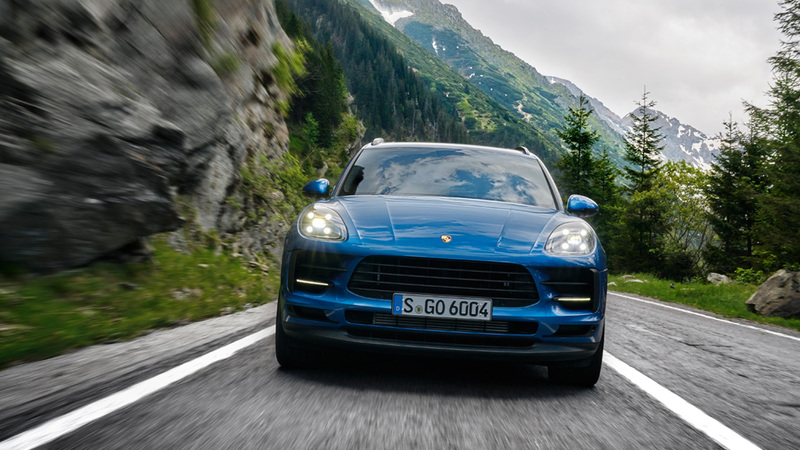 Make Way For The Macan! Car aficionados and Porsche fanatics in Europe must’ve been ecstatic recently as Europe was chosen for the premiere of the new Porsche Macan. A new release is always much-anticipated, and this one definitely was. 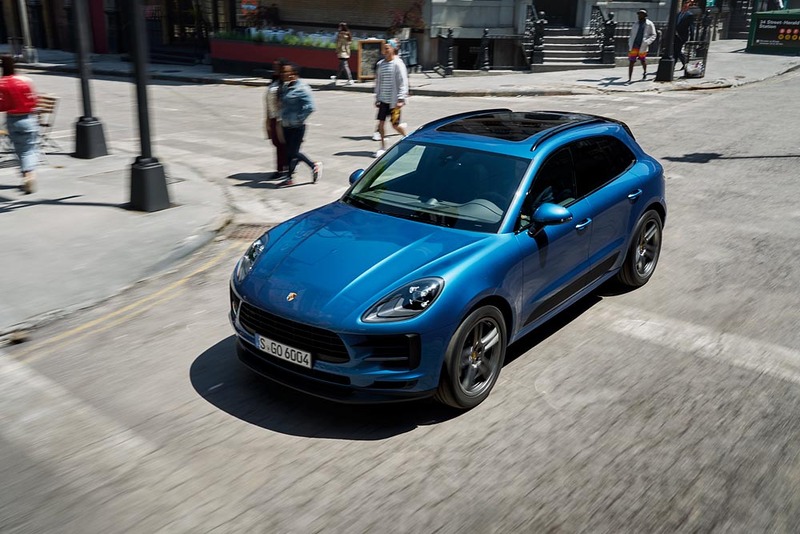 The new Porsche Macan has a 2.0-liter, four-cylinder turbocharged petrol engine with improved combustion chamber geometry. What does this mean, really? It means the car gives you more bang for your buck. It hits 252 horsepower and a maximum torque of 370 Nm. The compact SUV that could (and does) go from 0 to 100 km/h in a mere 6.7 seconds, and it can hit a top speed of 227 km/h. The seven-gear PDK dual-clutch gearbox does its share of work in this powerhouse car. In addition to the improved chamber geometry, the car now features a new look, putting a premium on design, comfort, and driving mechanics. After all, if you’re going to powering your way along the Autobahn, you best be looking good doing it. The vehicle dynamics are still the Macan core feature. The Porsche team knows how to improve on what was already an amazing car. The comfort is better now, thanks to the overhauled chassis. 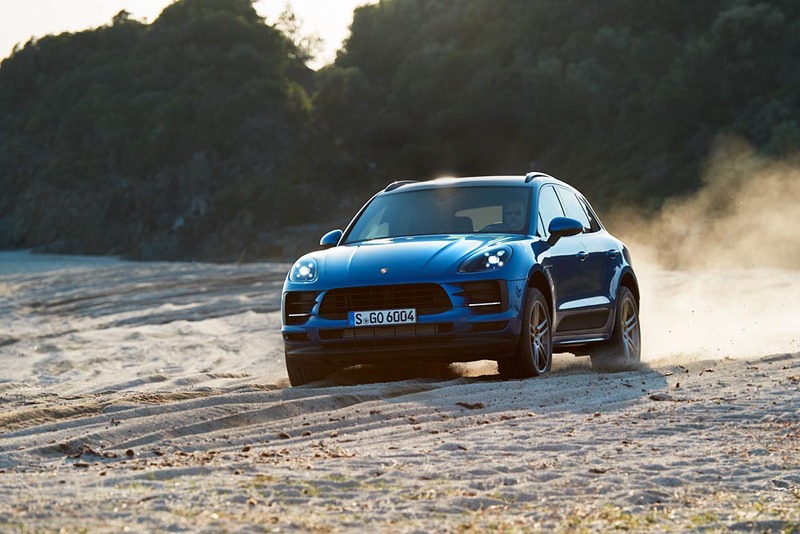 The Macan comes with mixed-size tyres, as most sports cars do, and this allows the driver to really benefit from the intelligent all-wheel Porsche Traction Management (PTM) system. New tyres have also been developed, in diameters ranging from 18 inches (standard) to 21 inches (optional). 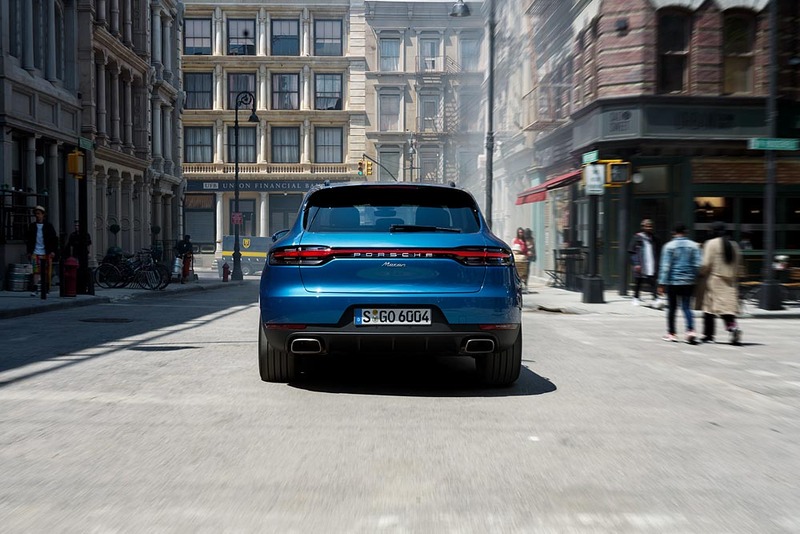 The Porsche design DNA is intact, and the new Macan features a three-dimensional LED light panel in the rear. The four-point design on the brake lights are still classic Porsche and easily identifiable as the brand. The front of the car receives a redesign, as the main headlights have LED technology too. The Porsche Dynamic Light System Plus (PDLS Plus) option allows you to control the light distribution. 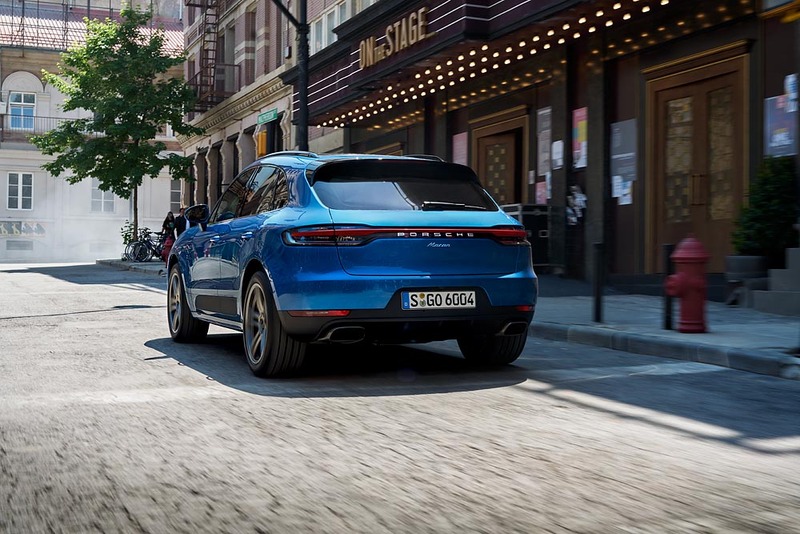 There are four new exterior colors available now, allowing Porsche owners another avenue to express their personality — Mamba Green Metallic, Dolomite Silver Metallic, Miami Blue, and Crayon. 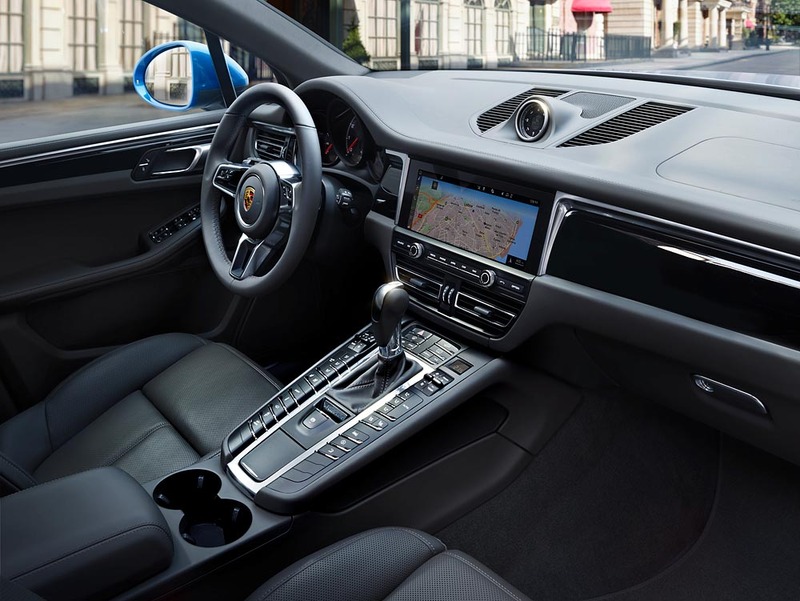 The Porsche Communication Management (PCM) system offers Macan drivers a range of digital possibilities. The touchscreen is now full-on HD, larger than it was previously, and can be set to meet your individual requirements. The options don’t end there, though, as Porsche continues to give you more. The optional GT sports steering wheel gets inspiration from the Porsche 911. 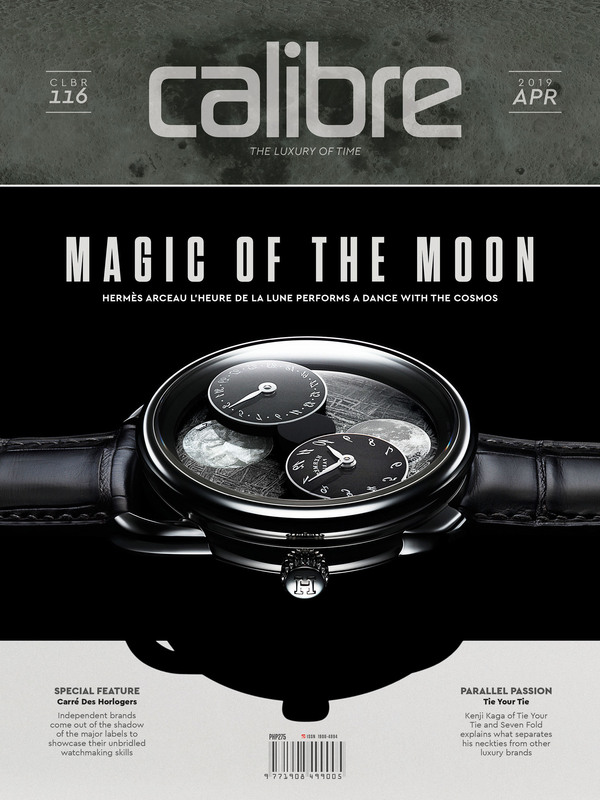 It features a mode switch as part of the optional sports chrono package. The new traffic assist system uses adaptive cruise control, resulting in a smoother drive. The system also allows you to accelerate and brake semi-automatically. Porsche may seem focused on improving the driver experience, but for those of us who are happy passengers, Porsche hasn’t forgotten about us. The heated windshield gives the driver better visibility and gives the passenger a better view too. The fine particulate air filter is partnered with an air ionizer improves the air quality in the cabin for driver and passenger alike. 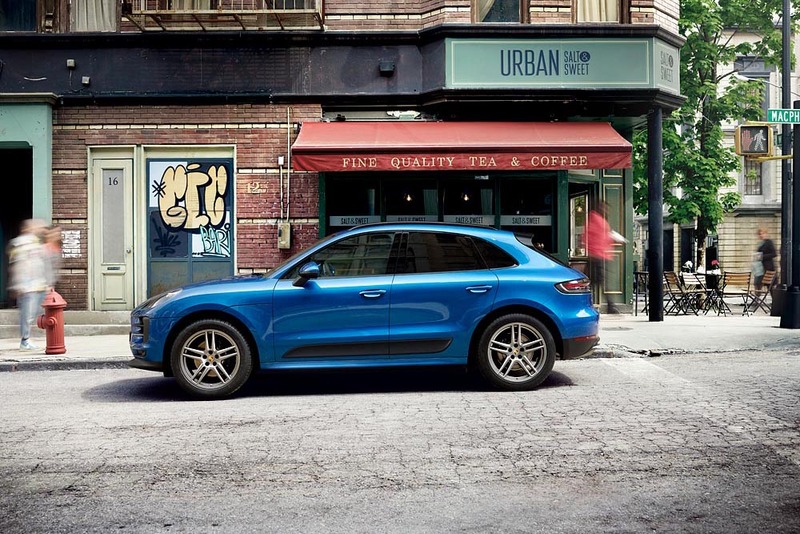 The improvements to the Porsche Macan mean a better experience for everyone – the driver, the passenger, and even those just lucky enough to catch a glimpse of the Macan as it speeds its way down the road.